A few readers are always a bit alarmed when I miss a post like I did a few days ago. Four decades ago, while working a brief stint at Kaiser Aluminum, a brief management trainee job I took while I waited for law school to start, a work physical revealed that I wasn’t exhaling with the normal amount of force. The doctor warned me to watch out for pneumonia, but I had and have always been quite athletic and I don’t smoke, so I dismissed the result as anomaly. Then a few months after turning 40 years old, and a month or so before I interviewed for a job in Durham, North Carolina, where I live now in retirement, I was hospitalized for a week with pneumonia. I also contracted pneumonia twice during the 1990s, although without being hospitalized, and came close a few other times. So, now in my mid-60s, my health professionals leave nothing to chance when I get symptoms such as I did late last week. First time I’ve been that sick in a decade but a helpful reminder to take nothing for granted. 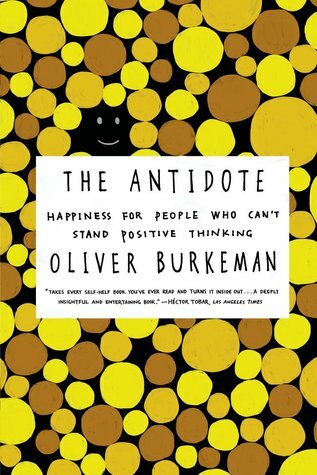 It gave me time to catch up on reading so while recuperating, I finished a remarkable book published a few months ago by Oliver Burkeman entitled, The Antidote – Happiness for People Who Can’t Stand Positive Thinking. I was drawn to it because a chapter deals with a coping technique I learned from my parents. From birth they embedded in me the growth vs. fixed mindset illustrated in this infographic based on research by Dr. Carol Dweck. Failure was always an option with my parents, just not an excuse. Pre-school age, whenever I became hesitant to keep trying when something was difficult or threatening, to lower my anxiety, my parents would have me think about the worst thing that could possibly happen and then point out that if I could see my way through that, I would be fine. My right-handed rancher dad used this technique when he spent the good part of a day with his four-going on five-year-old, left-handed son, riding on each side of a steer up and down a meadow to teach me to lasso. Eventually, he realized I am a mixed-lefty and would lasso best - if at all - right-handed. The book helped me understand that the lesson my parents taught me in the far Idaho reaches of the Upper Snake River Valley to overcome fear or hesitancy are the essence of the Stoicism, a Greco-Roman philosophy founded in the 3rd century BC. I experienced something else I learned in the book while sleeping almost non-stop for 40 hours over a couple of days. When we disassociate from our thoughts, such as when first learning meditation, the first thing we experience is anything but calm. It is a fast-paced, always changing endeavor that requires incredible teamwork. Often a staff member or two would get stuck and hold everyone else up. Training, cajoling, intense oversight, project management technology, peer pressure, nothing seemed to work to help them break loose. They didn’t do it with every project but boy when they did it, it was costly in terms of productivity. These were often organizational “stars” too. Even the little Stoicism trick my parents taught me wouldn’t work. Burkeman, a Brooklyn-based journalist for the Guardian, discusses a Buddhist therapy for this type of procrastination in his book. Buddhist philosophy teaches that thoughts and emotions are not things we have to stop and obsess about or over control. They are more like the weather, always changing. People who procrastinate to the point of dysfunction at times are having an argument with themselves based on the belief that they first need to “feel” motivated and then “act” or even something more strategic. But they can skip that step or come back to it later. But maybe the folks behind the Nike slogan “Just Do It” were Buddhist philosophers. In reality, the answer is to skip that step and just take the first step, much as I do each morning to get started on essays for this blog. It is a very good read. His blog and Guardian column, “This Can Change Your Life”, are also full of insights.